It was such a fantastic and exciting night; I absolutely loved watching the keirin and elimination races. Even more impressive was the velodrome itself and I am so excited that we weegies finally have our very own velodrome - not too many cities can boast of such a thing. Very shortly, G and I are going to our first accreditation session at the velodrome, in order to get certified so we too can cycle on it. 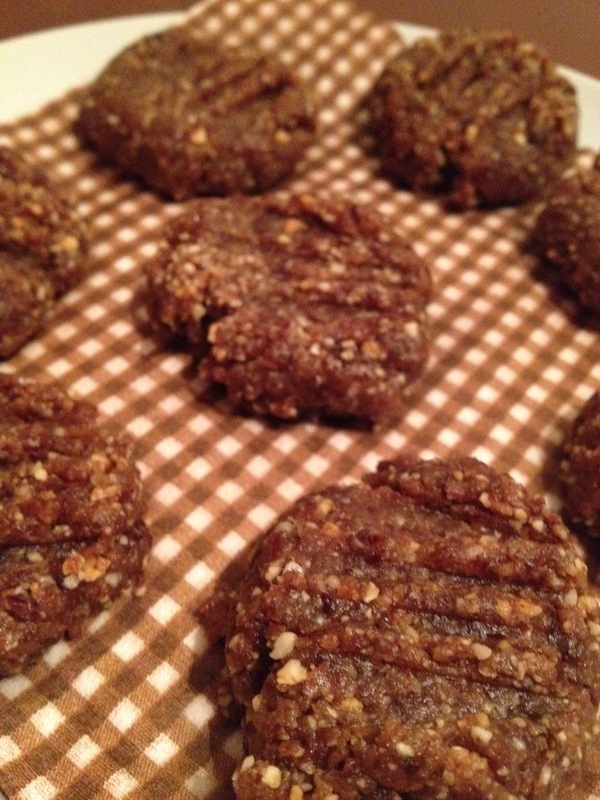 And finally, I've been experimenting with sugar-free baking/ cooking and made some raw "peanut butter cookies". Inspired by this recipe, I mixed it up by making these "cookies" with raisins, peanut butter (the no sugar added variety, obviously), hazelnuts and extra vanilla extract. Delicious!